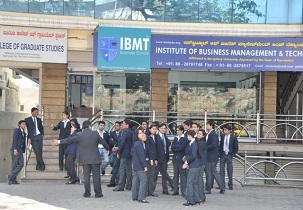 Institute of Business Management and Technology was brought into existence during the year 1999 in Bengaluru, the capital city of Karnataka state. The institute was set up with a vision to provide excellent quality education to the students in the field of management and technology which is accepted all over the world. Institute of Business Management and Technology offers UG and PG degree programs approved by AICTE, New Delhi. Institute of Business Management and Technology is recognized by University Grants Commission. Institute of Business Management and Technology provides a beautiful campus with serene view creating study environment. 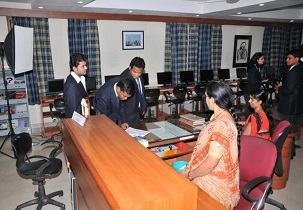 Institute of Business Management and Technology facilitates a modern infrastructure facility for the students. Institute of Business Management and Technology facilitates well equipped labs, spacious lecture halls, auditorium, canteen etc. Institute of Business Management and Technology encourages students for participating in extra-curricular activities and also enables them in establishing various clubs and societies. The institute conducts various activities for the students to provide them a podium to showcase their talents and acquire extra skills. Institute of Business Management and Technology has various entertaining places and refreshments nearby, such as Indian Music Experience, National Tiger Conservation Authority, Starbucks Coffee, Barbeque Nation, Brewskey and many such entertaining places to visit. admission for mba in IBMT, and the fees structure for mba in IBMT? The aspirants must be a graduate in any discipline or equivalent degree/ diploma with 50% marks to get admission in Institute of Business Management and Technology. The Admission in IBMT for MBA is based on percentile or score obtained in CAT/XAT/MAT/ATMA/K-MAT/NAT. 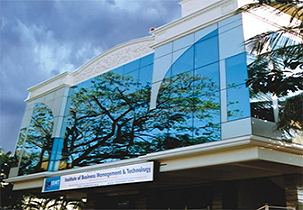 Are you Interested inInstitute of Business Management and Technology Bangalore"? Please provide the following details.